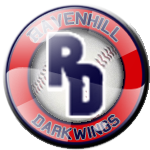 It wasn’t quick or easy for the Ravenhill Darkwings, but they have clinched a berth in the postseason. While they couldn’t capture the Mordor Conference Goblin Division crown, the club has cinched up a wild card berth late in the season. The team will be looking for its 3rd Tolkien Baseball championship.